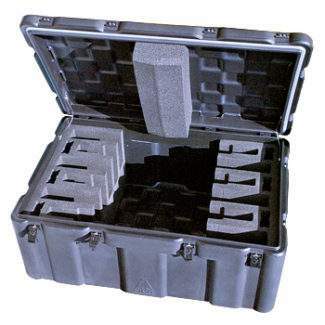 Predominantly, CP Cases uses Plastazote Foam – a cross-linked, closed cell polyethylene foam which has ideal characteristics for use in protective packaging. 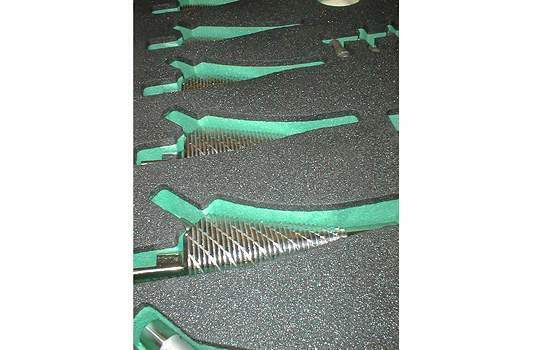 Specific anti-static and conductive foams are available for the packaging of static sensitive components. 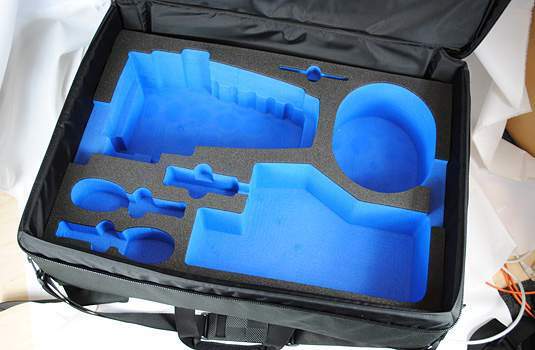 Plastazote foams are defined by their density in Kg per cubic metre; CP Cases predominantly use LD18, LD33 and LD45 type foams. 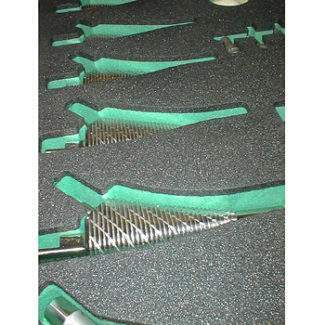 Given the mass of a component and the maximum g-force it is to be subjected to, we determine and advise on the type of foam necessary and its thickness and shape. 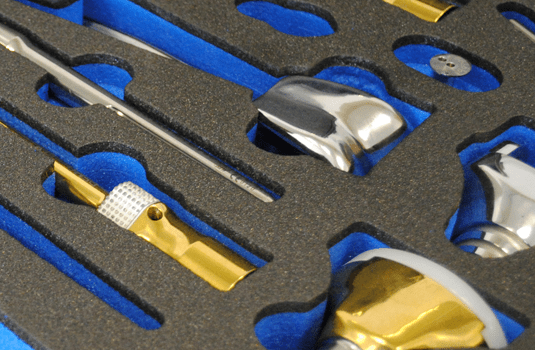 CP Cases can create foam inserts to meet exacting project requirements for colour, multi-layering and special properties. 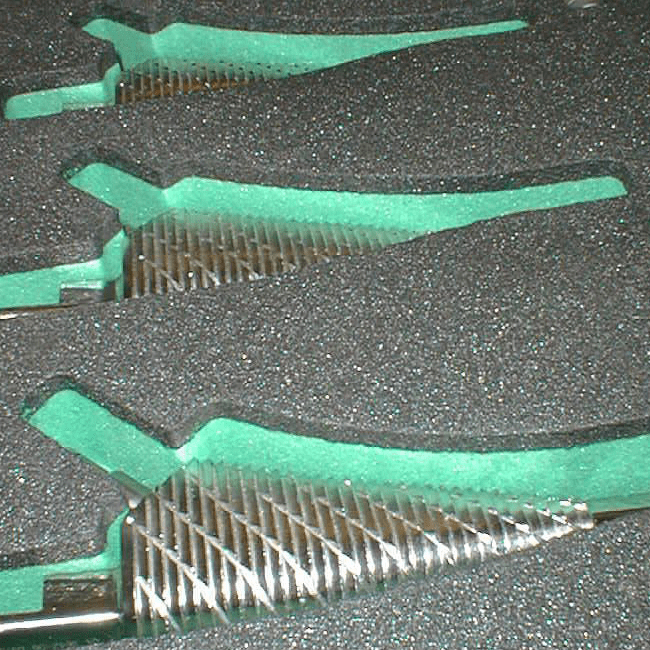 Foam inserts are an essential part of protective packaging, surrounding and supporting the product itself. 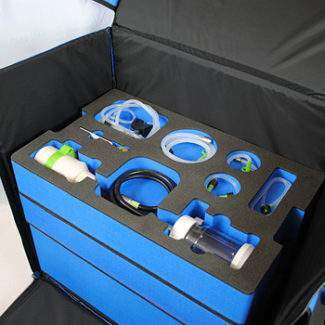 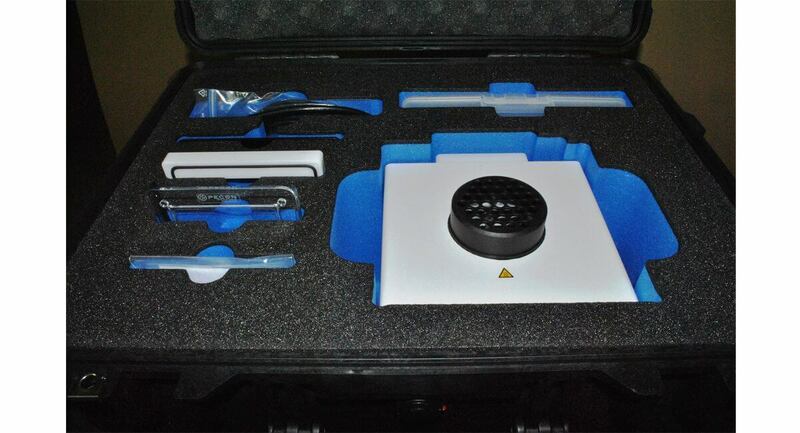 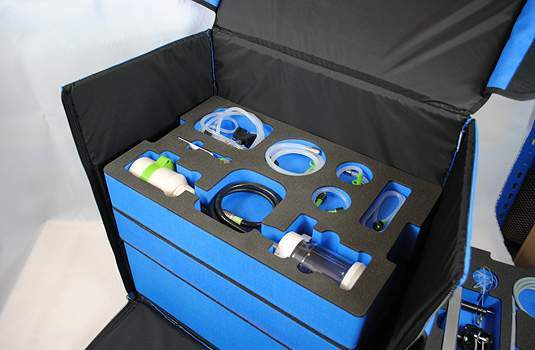 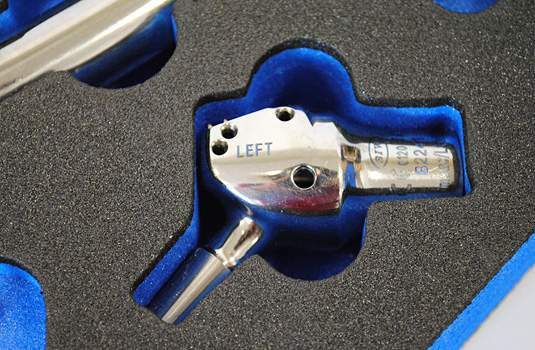 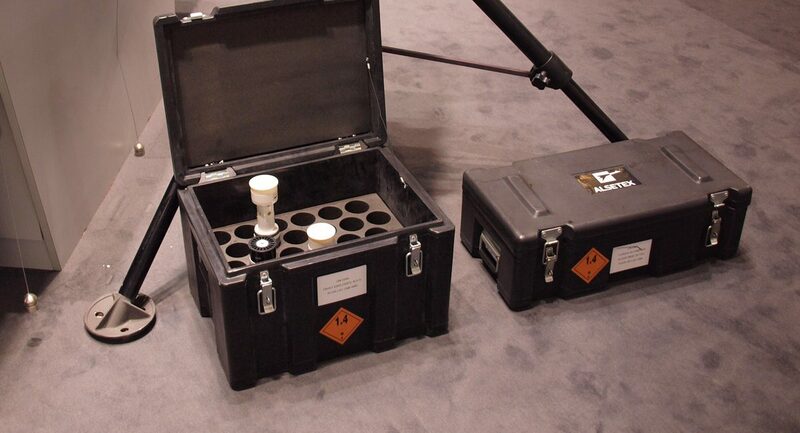 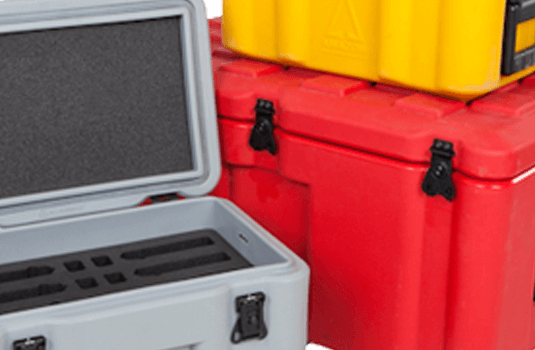 The selection of appropriate foam types and densities is critical in ensuring the safety of a case contents. 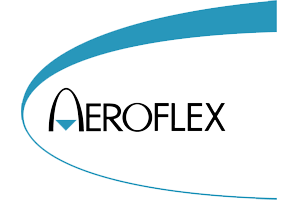 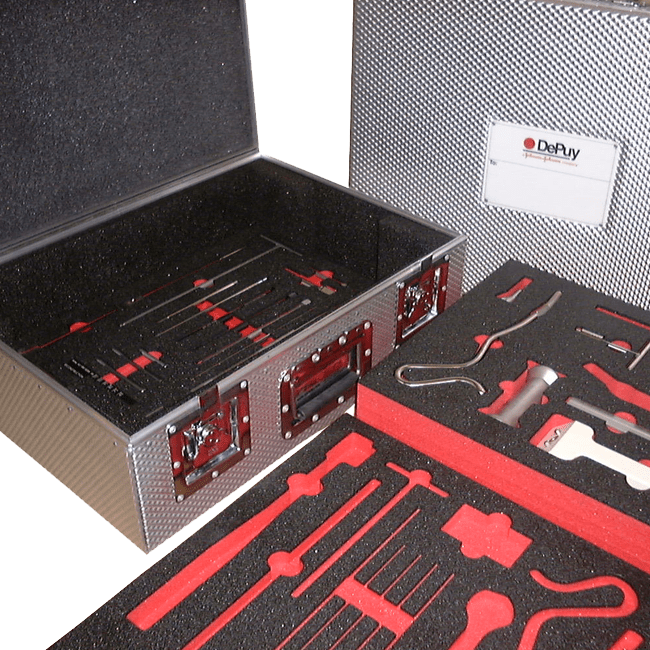 Our capabilities to design, develop and manufacture the most effective foam support or pack for each individual application involves processes such as punching, stamping, CNC routing, hand-forming and sculpturing. 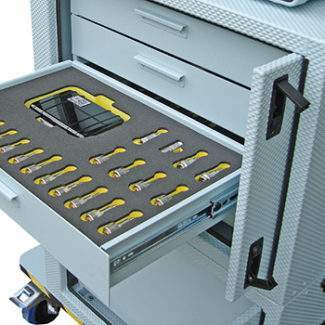 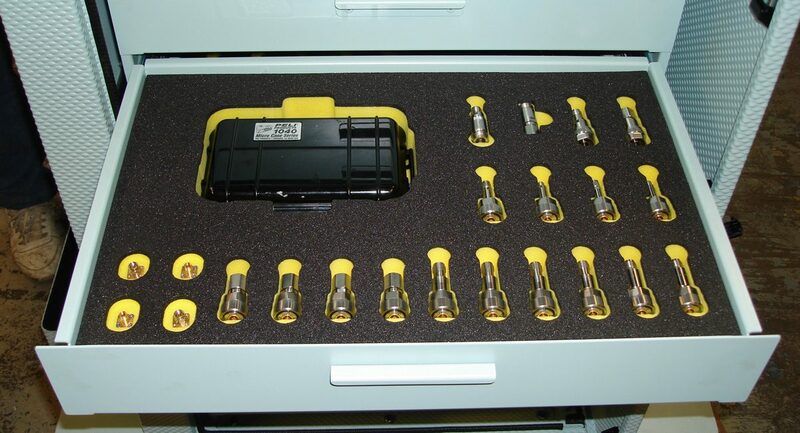 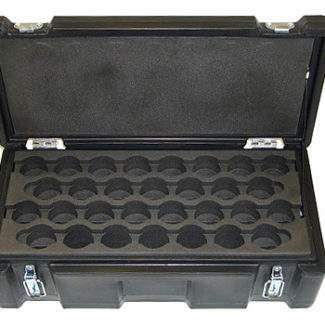 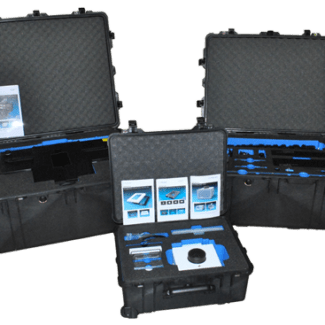 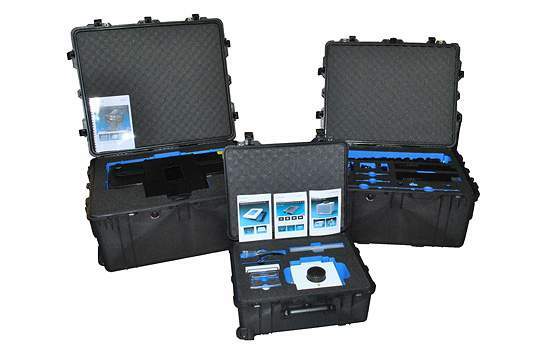 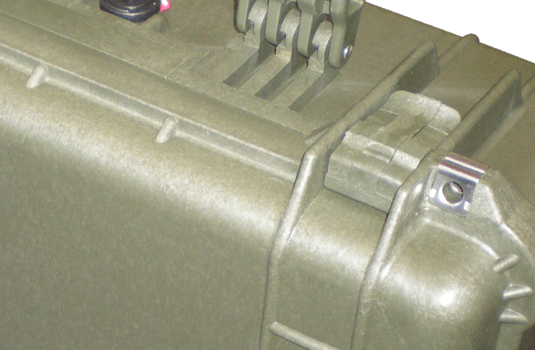 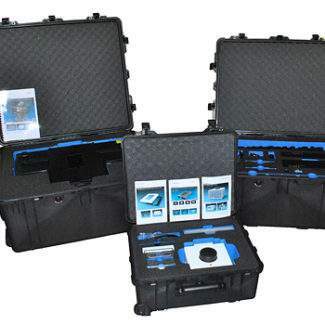 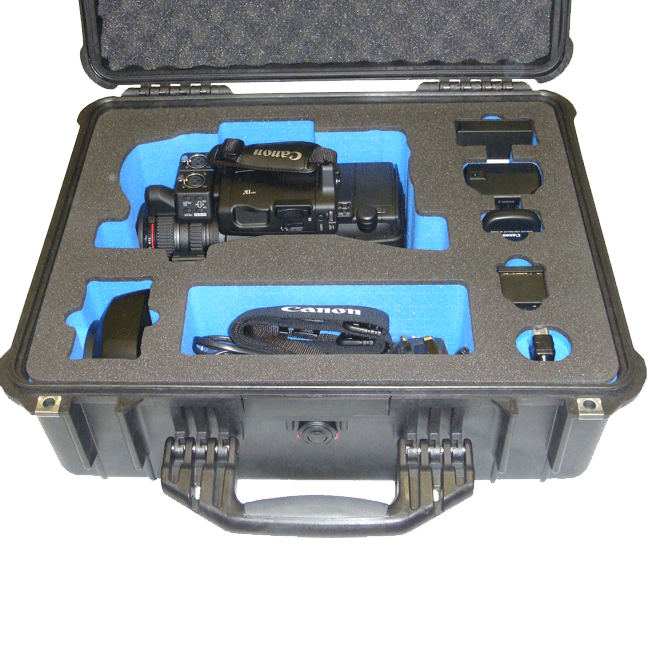 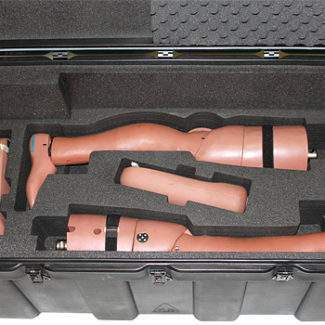 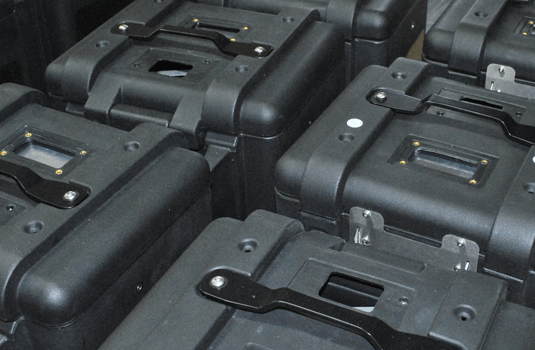 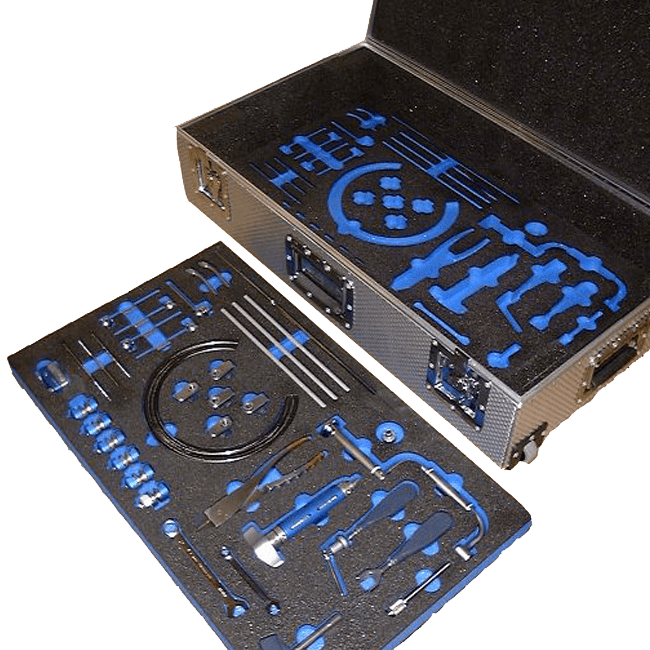 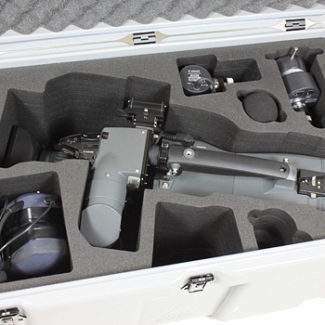 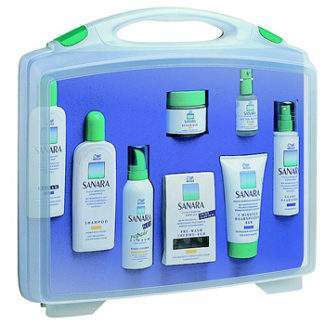 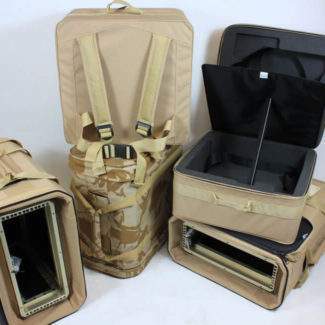 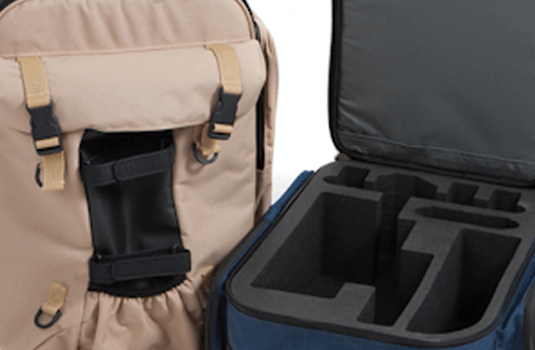 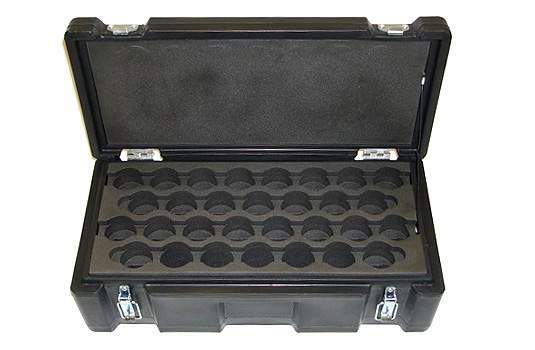 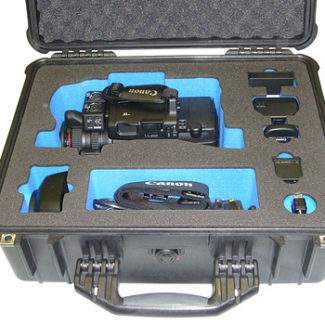 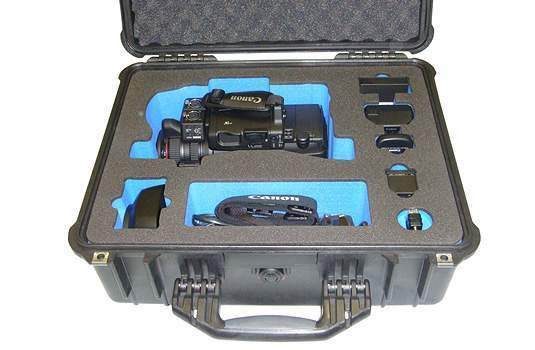 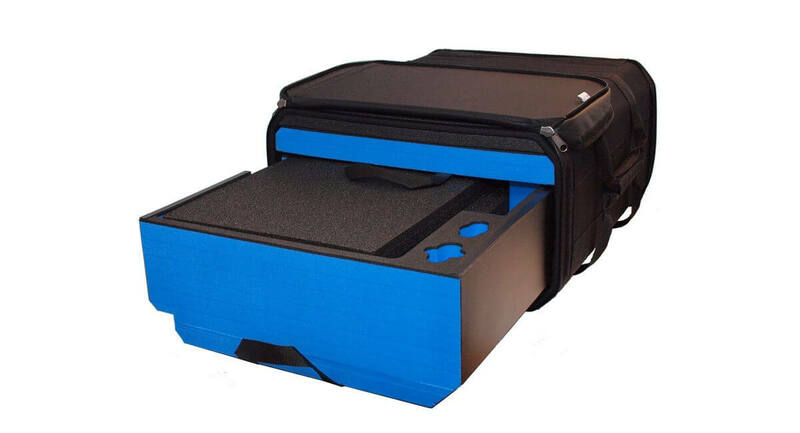 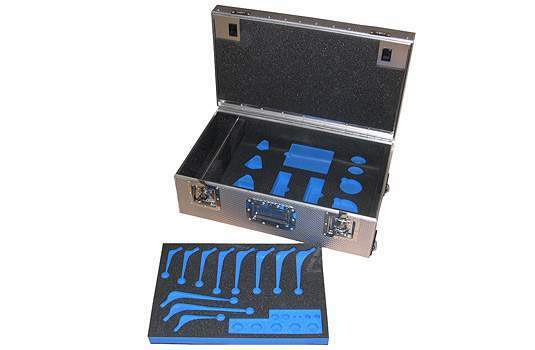 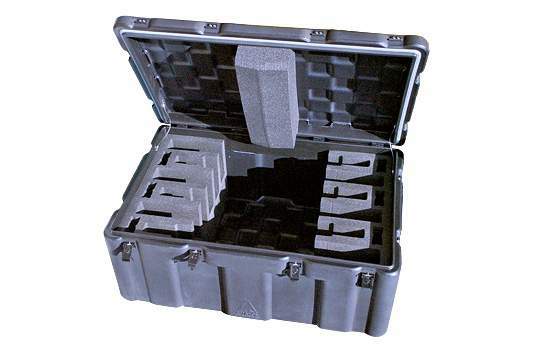 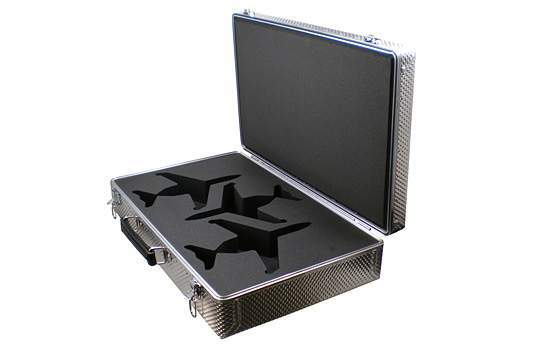 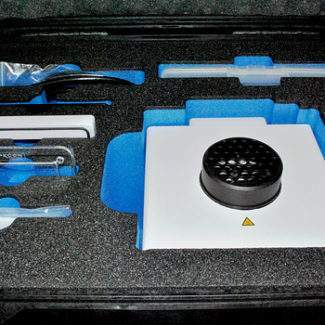 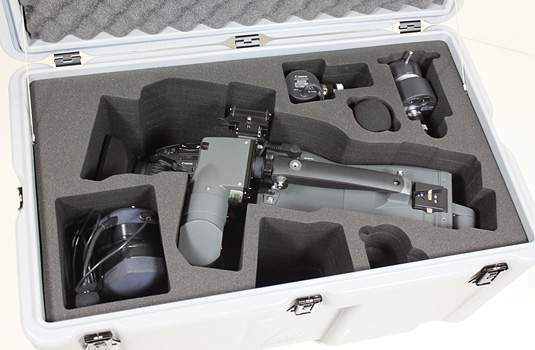 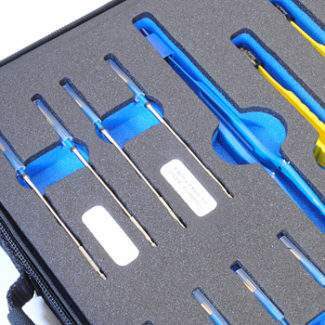 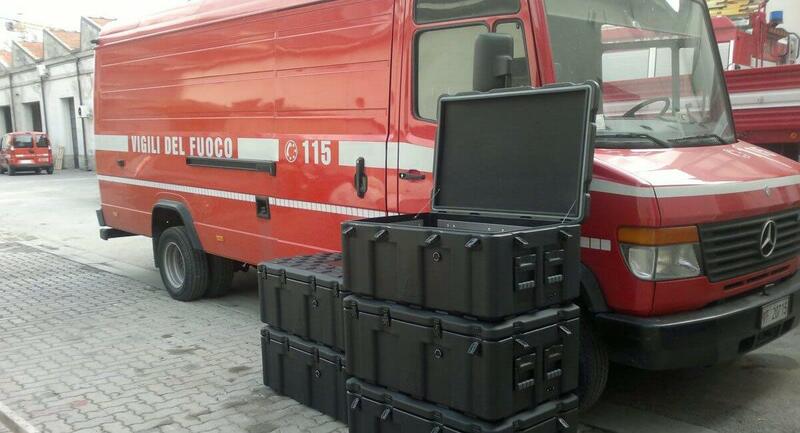 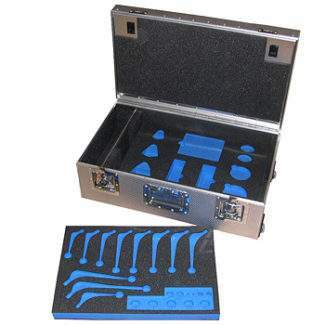 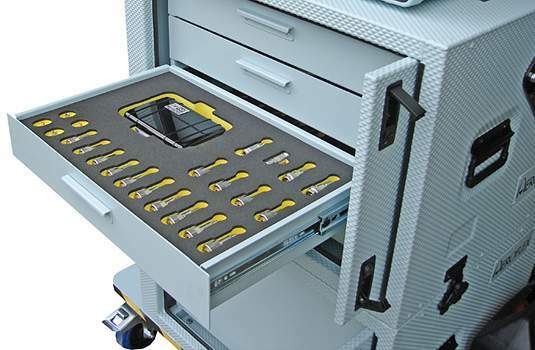 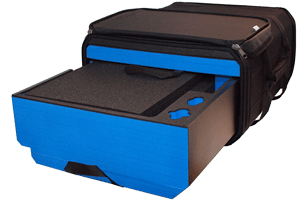 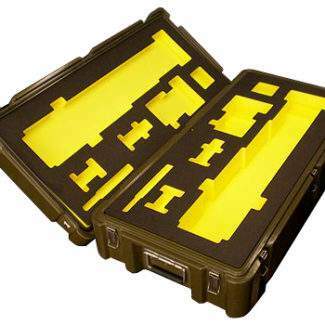 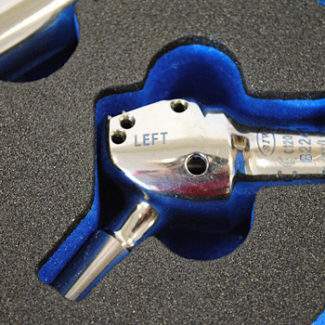 Foam inserts and protection are used with the whole range of protective cases we market and the different uses are boundless; from weapons cases and camera cases to medical drawer cases and instruments. 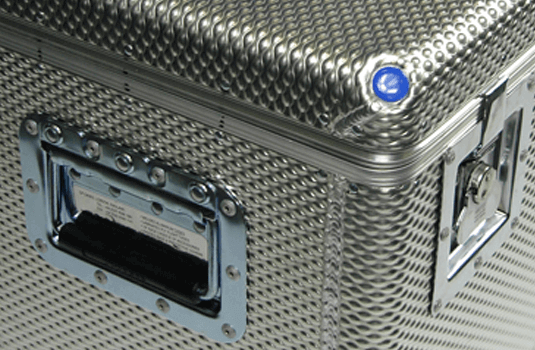 We apply the client requirement first and the resulting protective case or bag, see our rugged textiles, is the ideal solution. 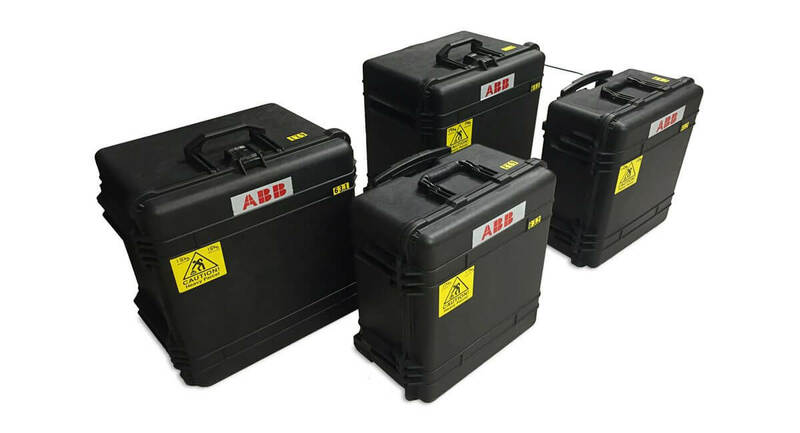 Our many years of experience are brought to bear when advising customers on equipment support, layout and requisite attenuation against shock, impact and vibration. 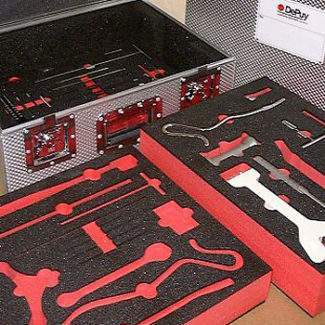 Whatever your foam packaging requirement, be it military specification, commercial protection for an industrial product, or an enhancement to your sales presentation, we can offer choices in colour, multiple laminations and foam materials, including those with anti-static, conductive and self-extinguishing properties. 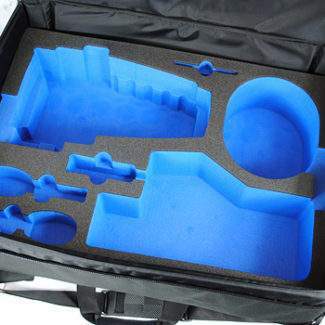 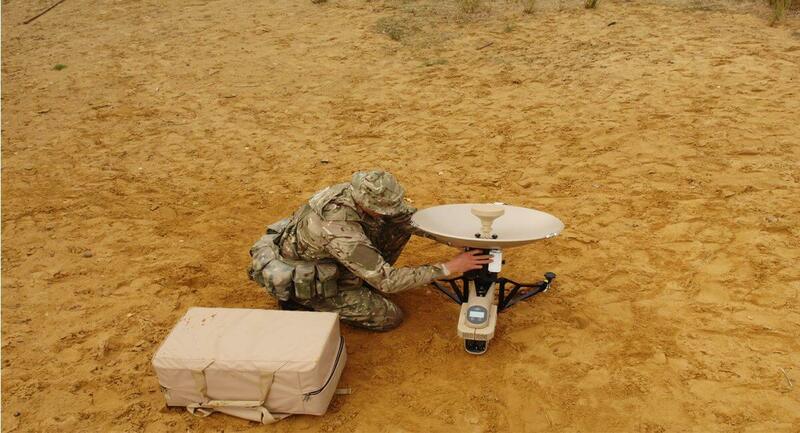 Our foam engineers are specialists and are always on hand to advise you on foam choices and applications. 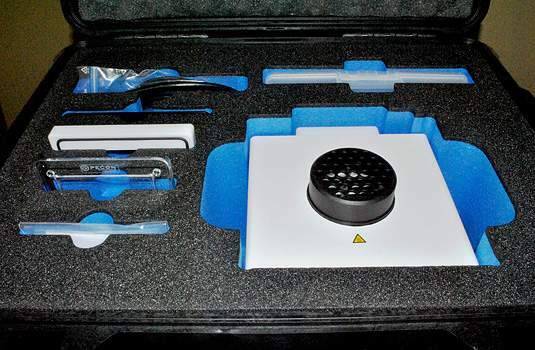 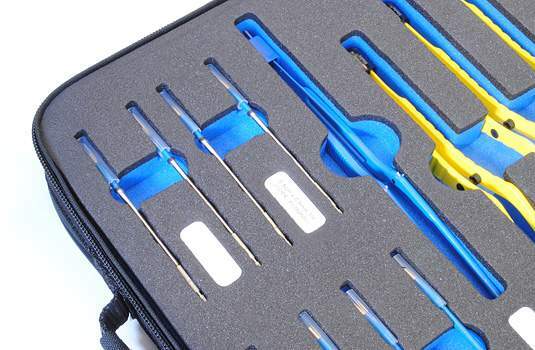 High quality, chemically-inert foam inserts protect delicate electronic equipment. 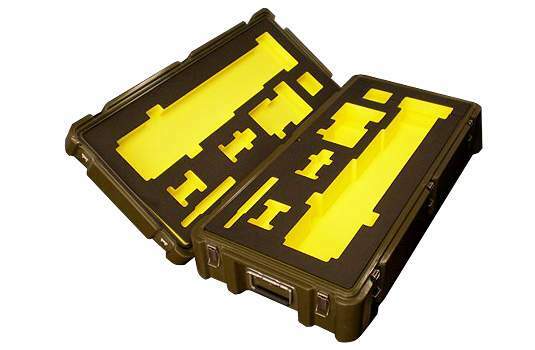 Customised solutions available in a range of colours. 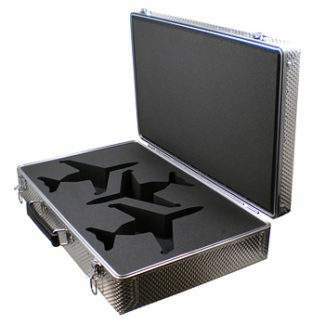 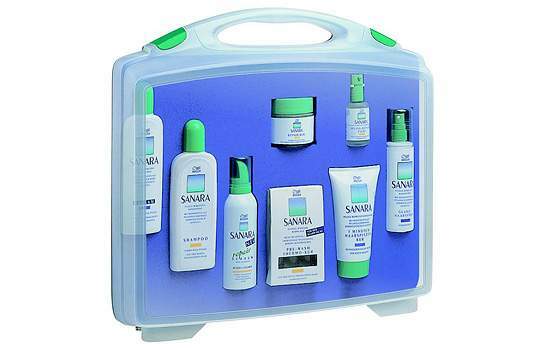 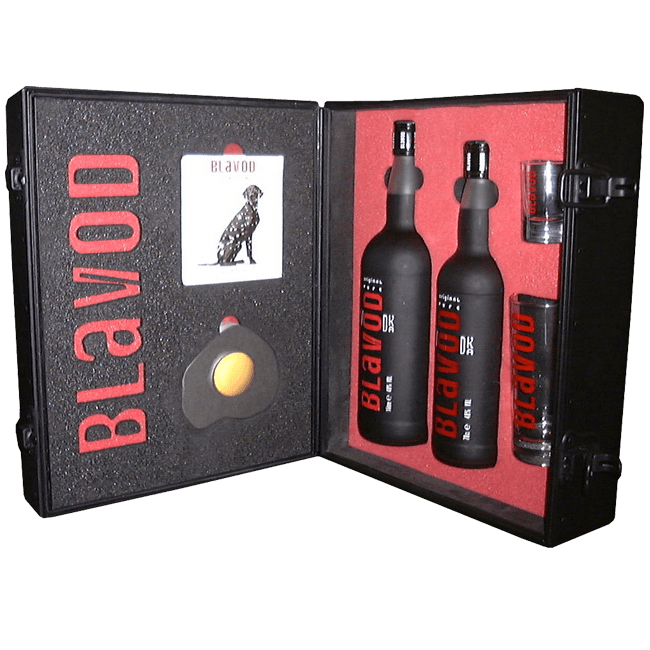 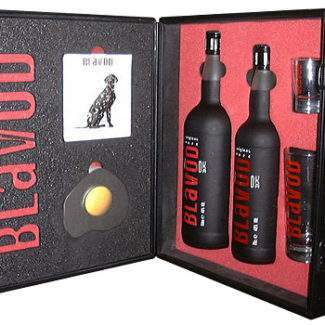 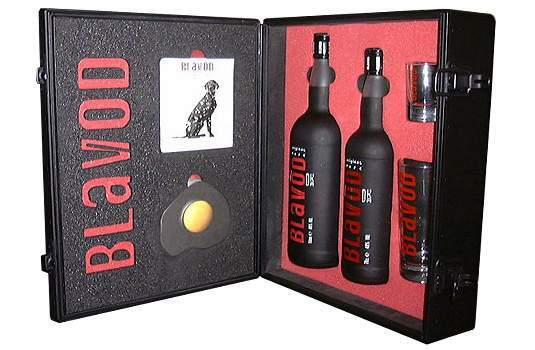 Suitable for corporate and unique presentation packs. 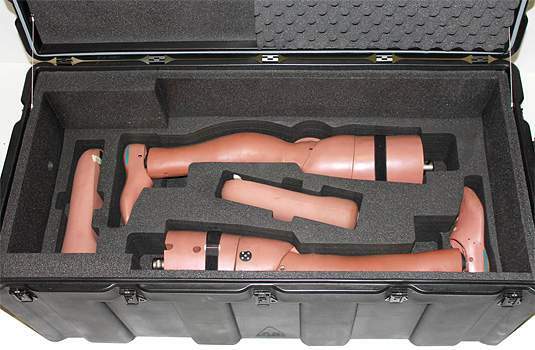 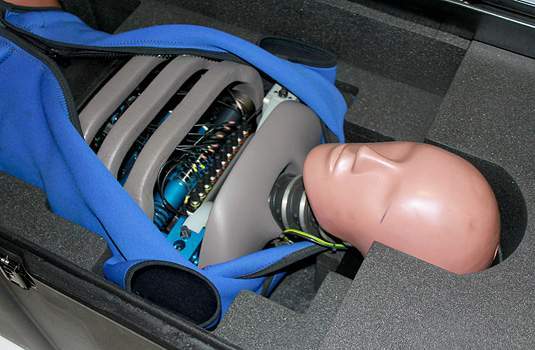 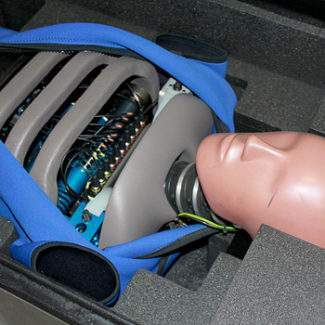 Vital medical components are secure for transportation. 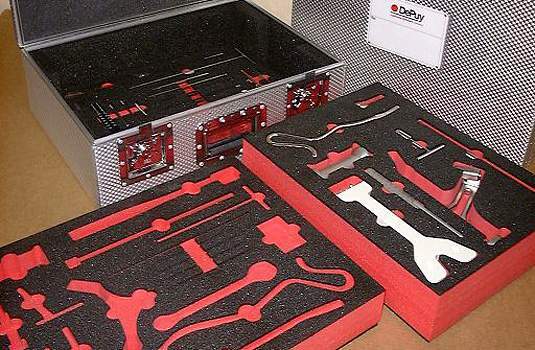 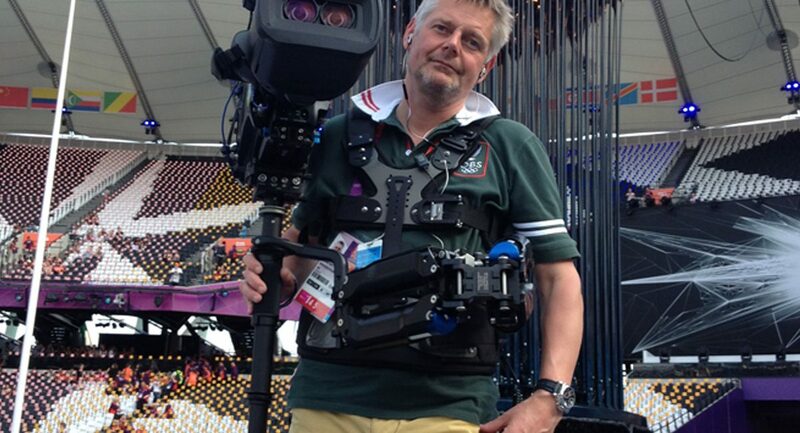 Multiple layers and extremely intricate tools are catered for.